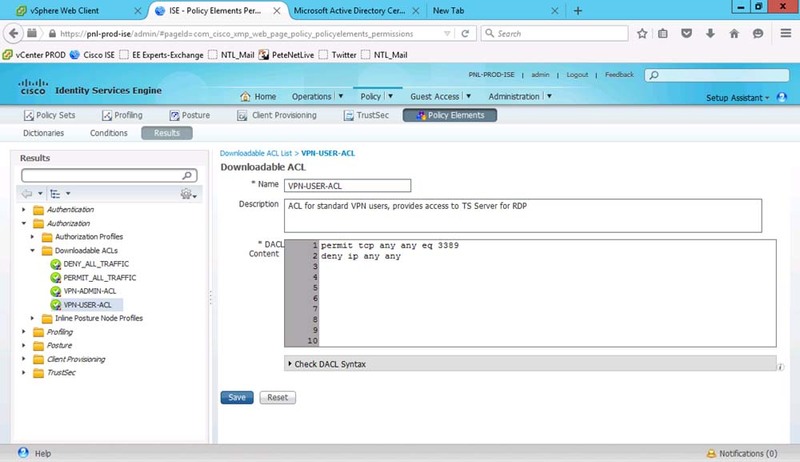 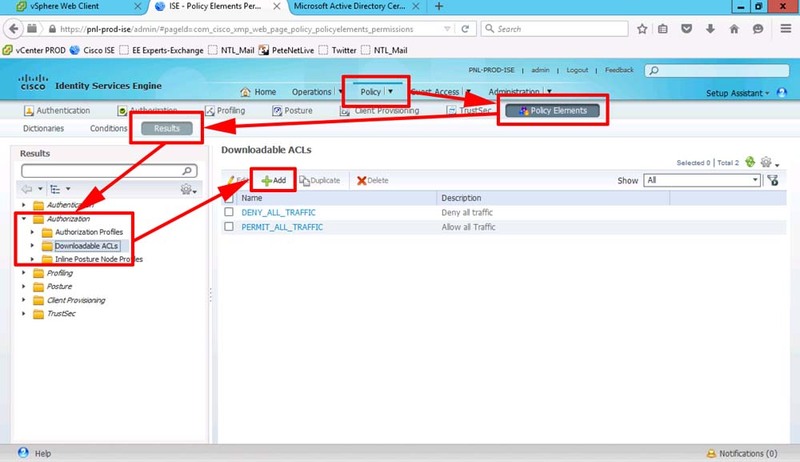 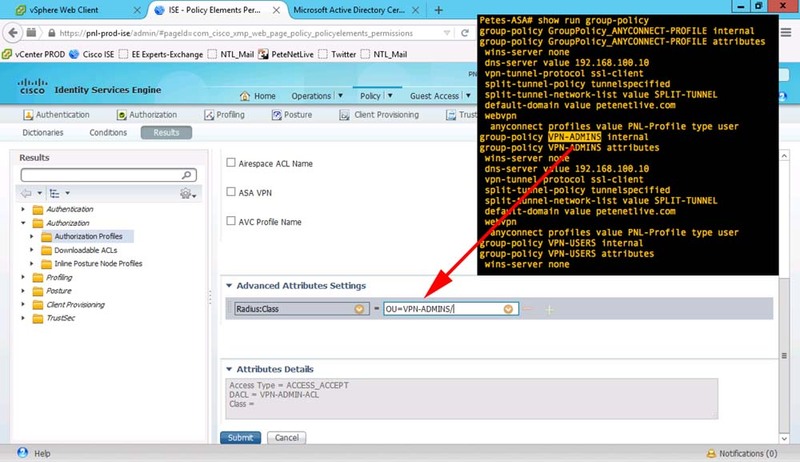 To be honest it’s probably a LOT easier to do this with Dynamic Access Policies, but hey, if you have ISE then why not use it for RADIUS, and let it deploy downloadable ACL’s to your remote clients and give them different levels of access, based on their group membership. 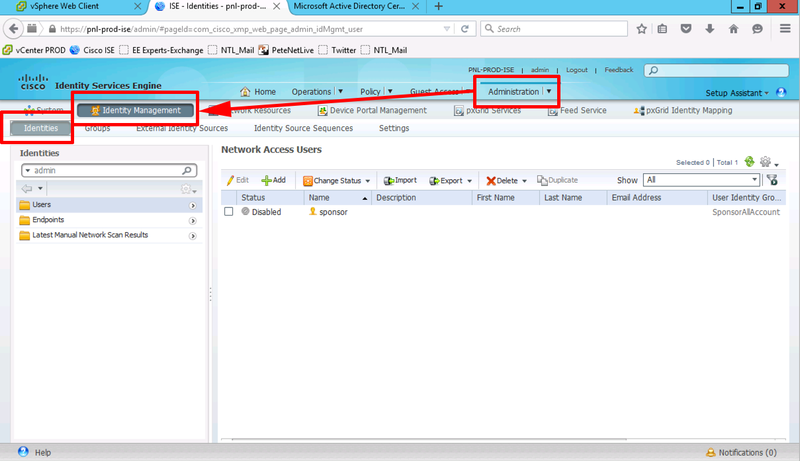 I’m going to keep things simple, I will have a group for admins that can access anything, and a group for users that can only RDP to internal servers. 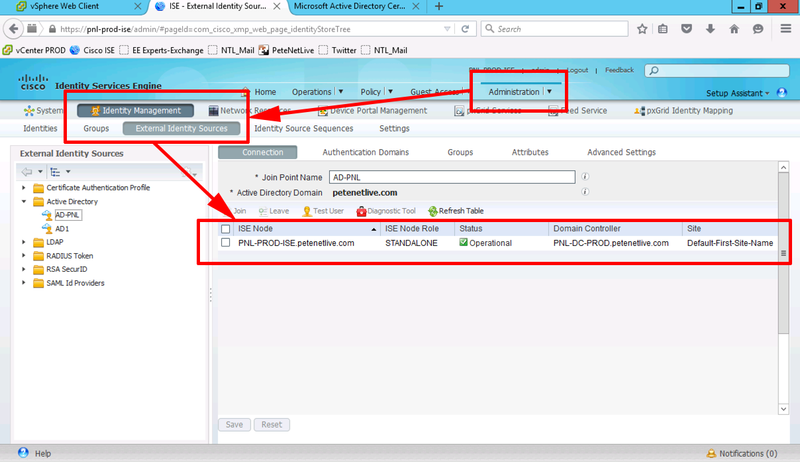 I always assume things will break, so I’m also going to create a local user on the ISE deployment, so if Active Directory is down I will have a user account I can use to gain full access in the event of an emergency. 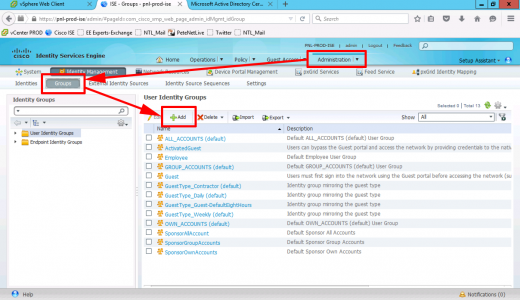 In production you will have plenty of users, but to test Im going to create a test user, and a test admin user. 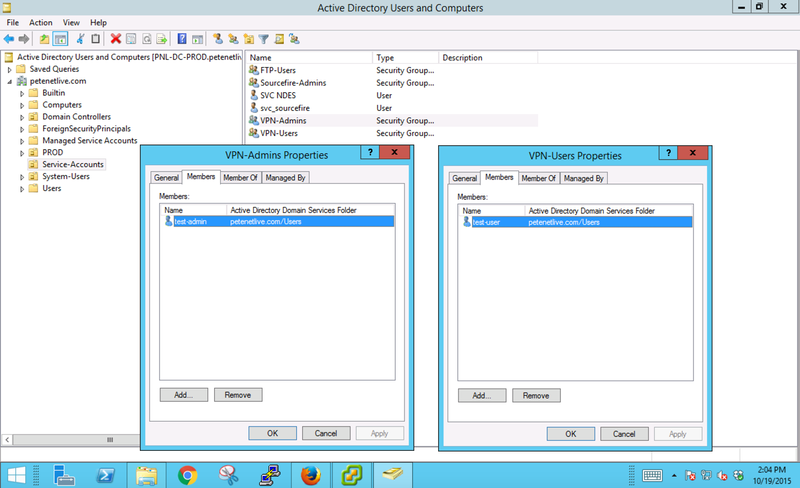 Then put those users in an appropriate Active Directory security group, (here I’m using VPN-Users and VPN-Admins). 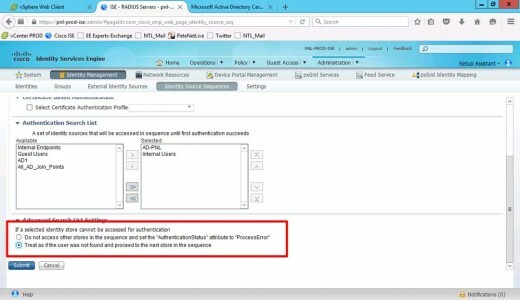 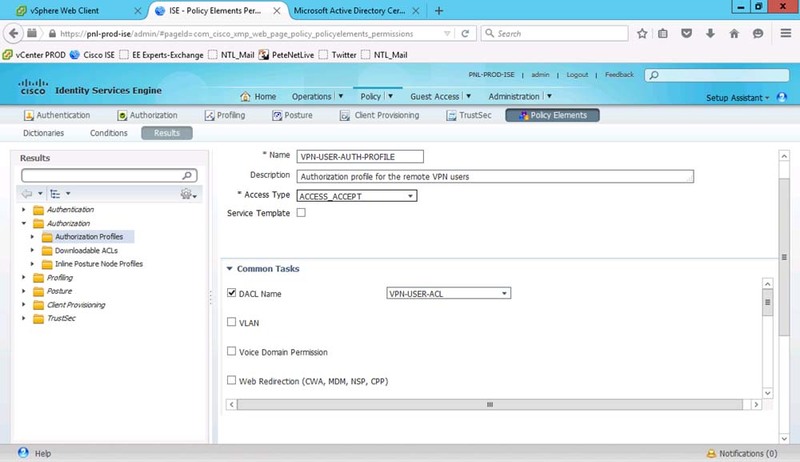 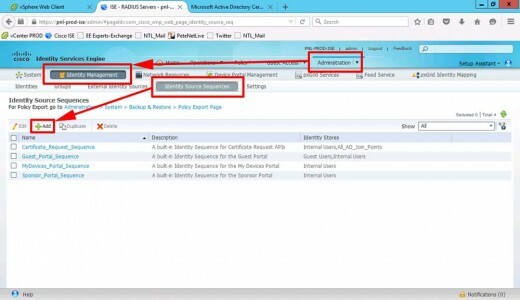 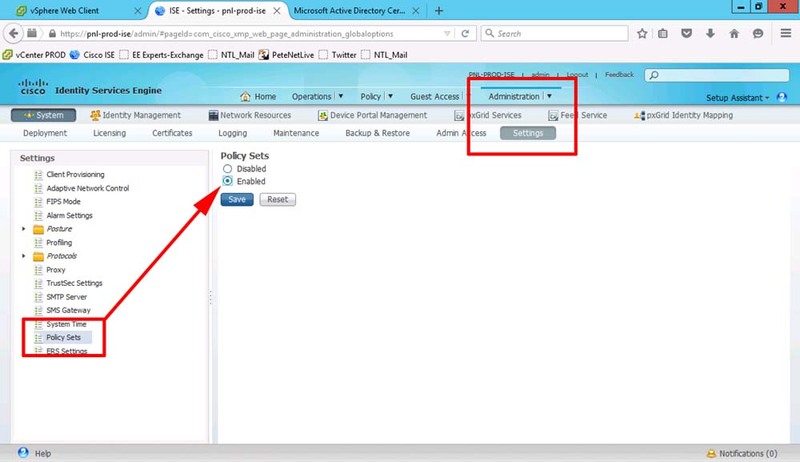 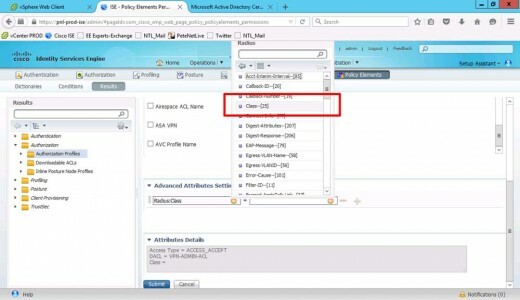 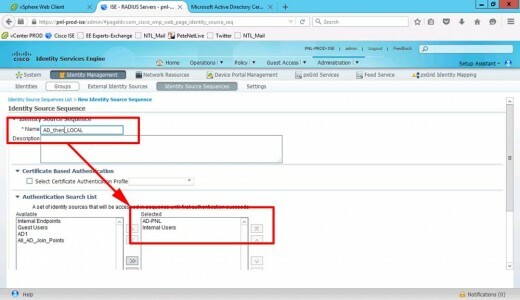 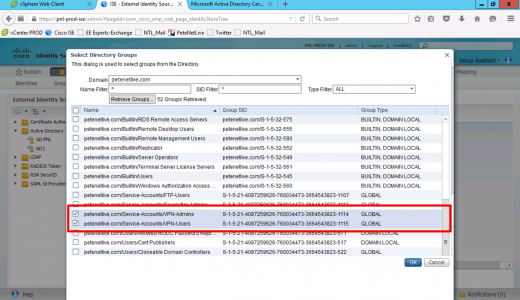 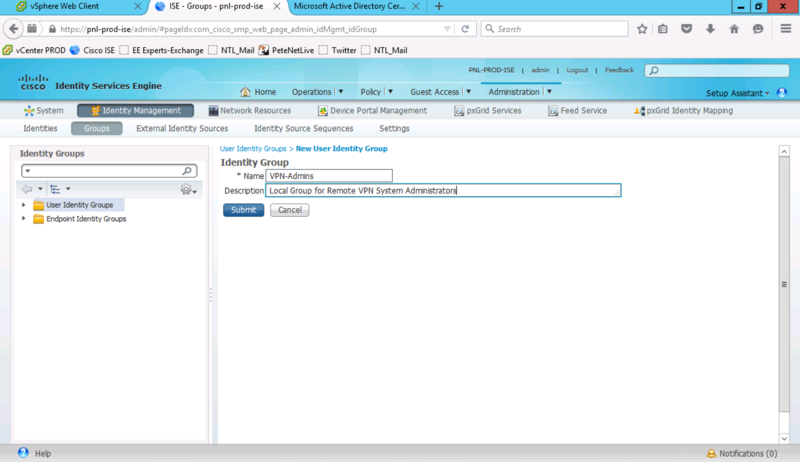 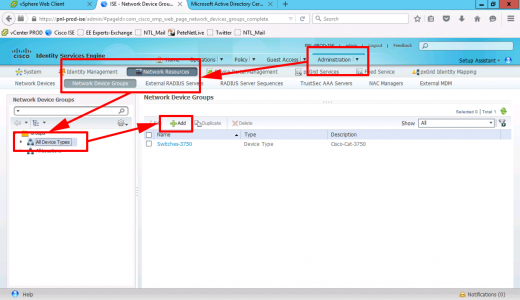 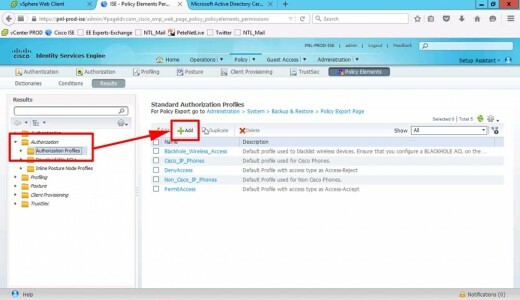 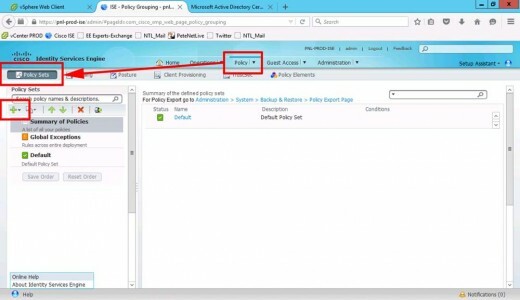 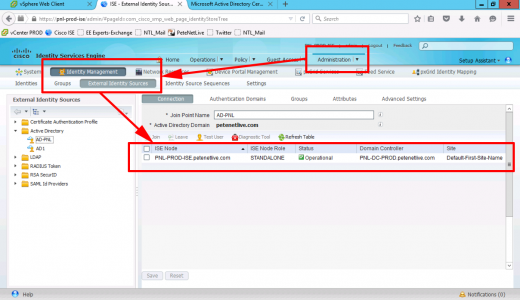 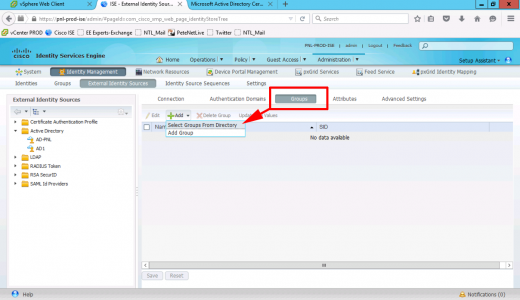 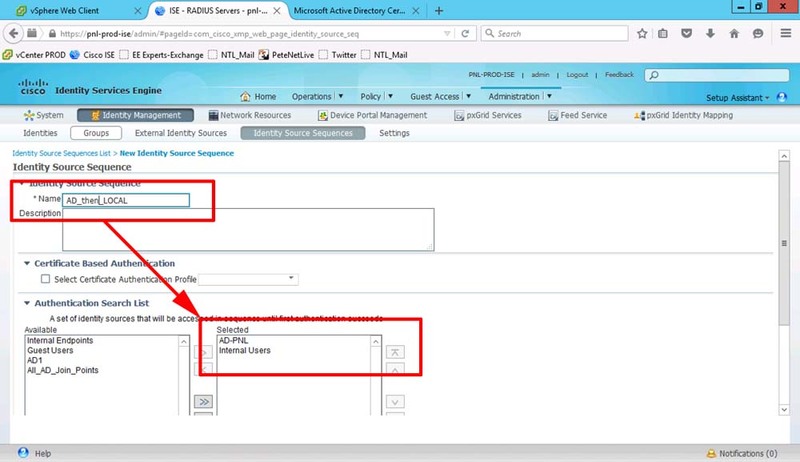 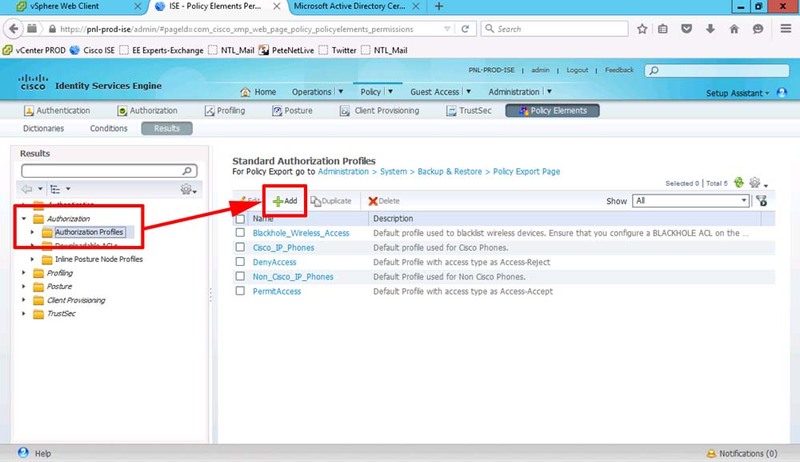 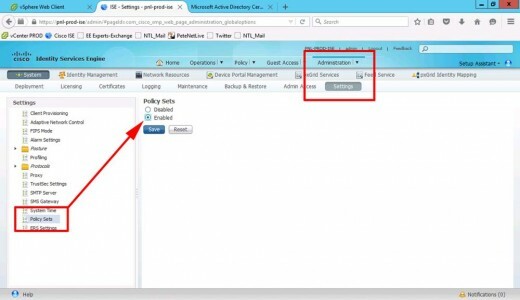 On your Cisco ISE Deployment > Identity Management > Groups > Add. 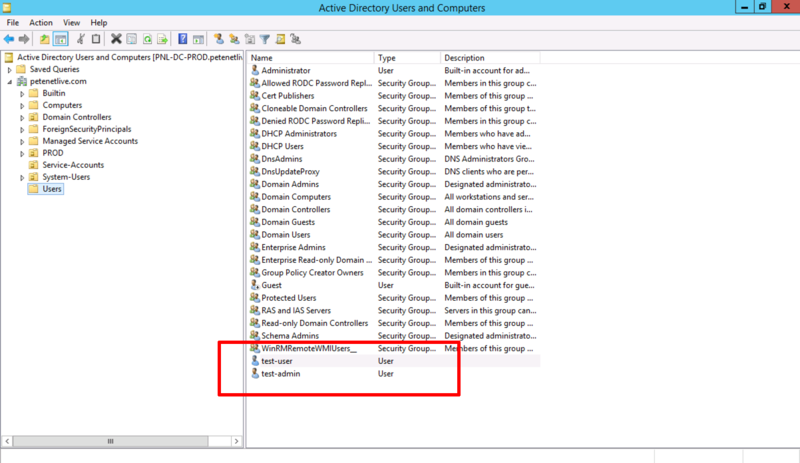 Give the group a name and optional description > Save. 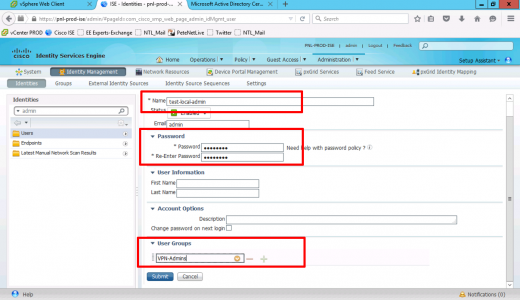 To create an admin user > Administration > Identity Management > Identities > Add. Create the new admin user > set the password > add the user to the group you create above. I’m assuming you have joined ISE toActive Directory > To check Administration > Identity Management > External Identity Sources > Ensure the domain is joined and operational. Locate and add the groups you created above. We need to authenticate against our AD, but we want it to fail back to the ISE local database, (for our local admin). 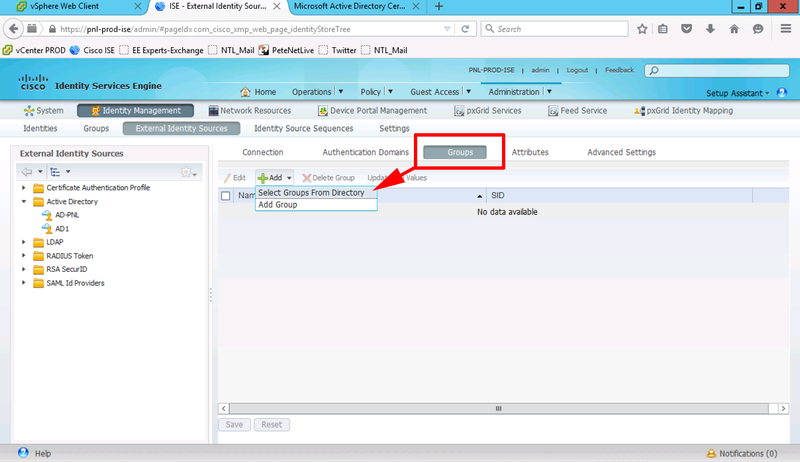 To do that we use and identity source sequence. 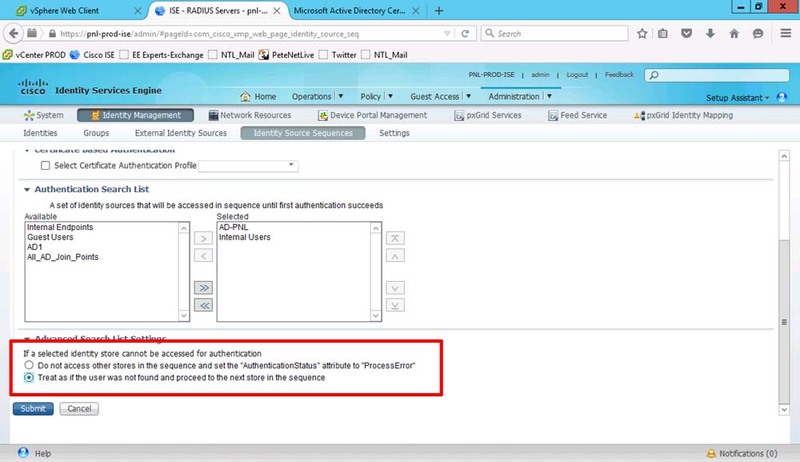 Administration > Identity Management > Identity Source Sequence > Add. 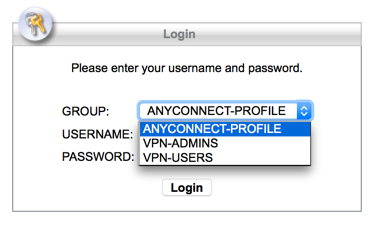 Give the sequence a name and add your AD and Internal Users. 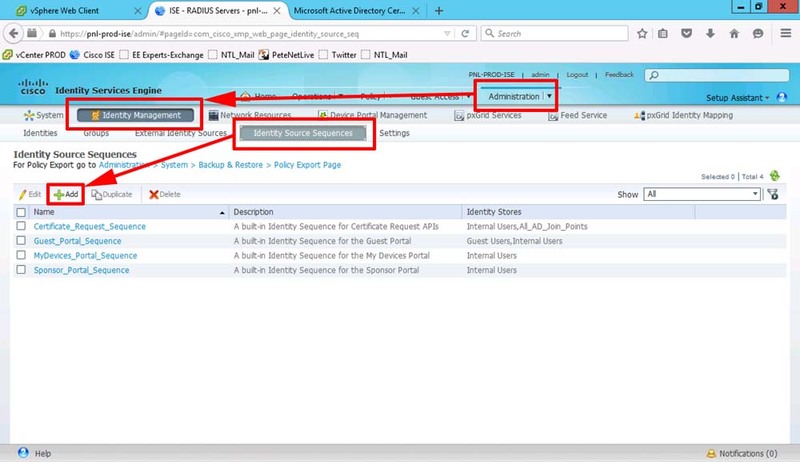 MAKE SURE you select ‘Treat as if the user was not found and proceed to the next store in the sequence’ > Submit. 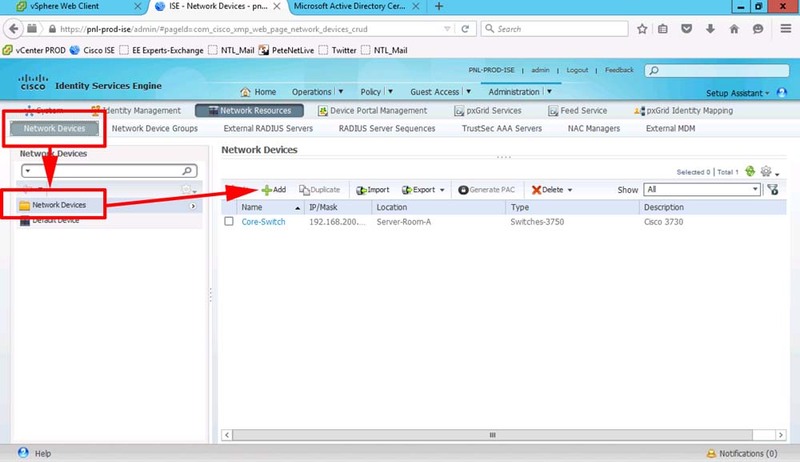 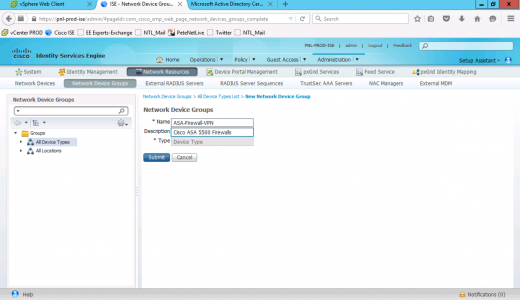 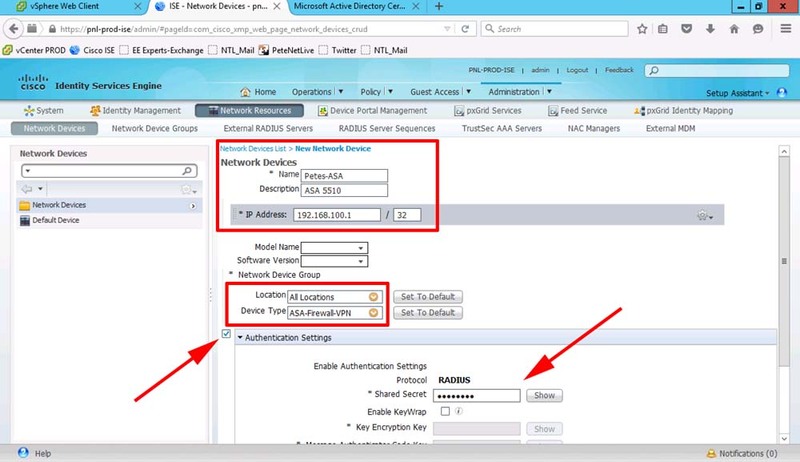 Add Cisco ASA to Cisco ISE as a RADIUS Device. 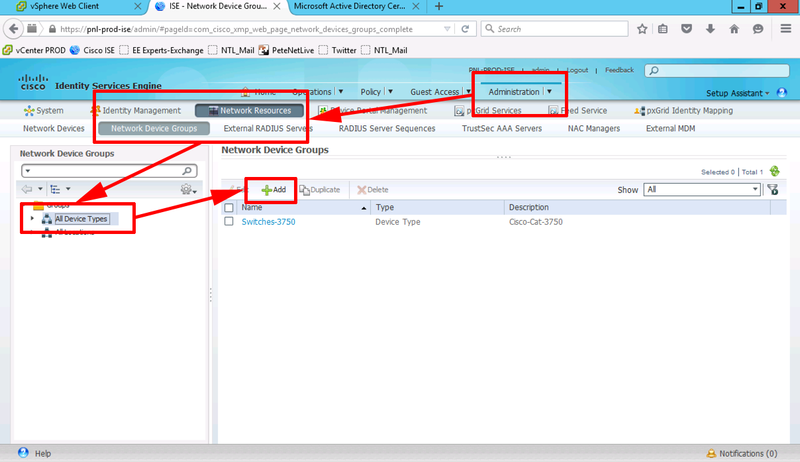 Administration > Network Resources > Network Device Groups > All Device Types > Add. Add a device GROUP for your ASA(s) > Submit. 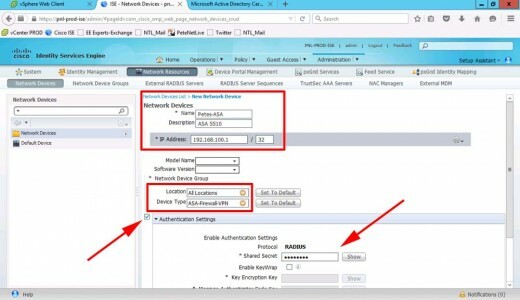 Administration > Network Resources > Network Devices > Add. 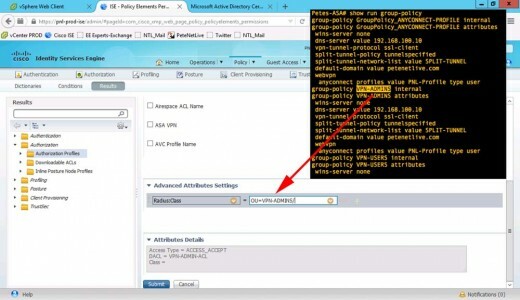 Add in the ASA > Provide its IP address, and add it to the group you created above > Set a RADIUS Shared Secret > Submit. 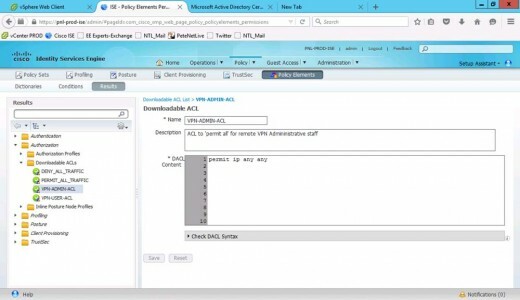 Policy > Policy Elements > Results > Authorisation > Downloadable ACL’s > Add. Create an ACL for our VPN-USER group, that will only allow RDP (TCP 3389) > Submit. 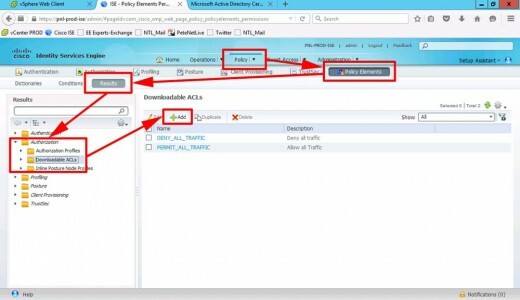 Repeat the process to create an ACL that allows everything, (for our VPN-ADMINS) > Submit. 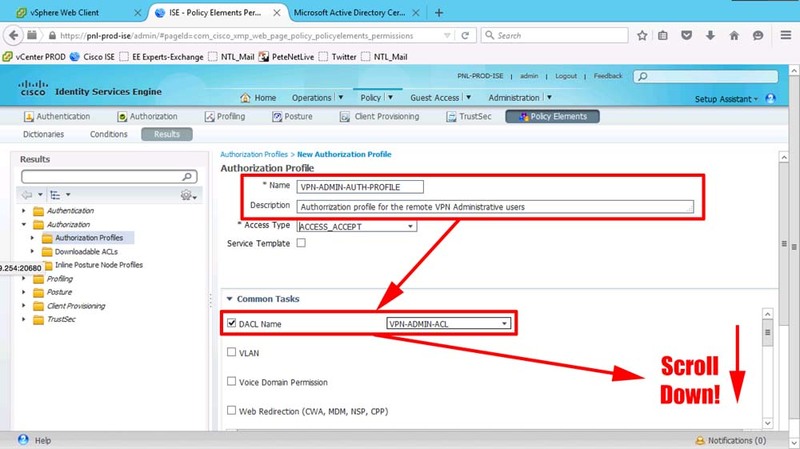 Policy > Policy Elements > Results > Authorisation > Authorisation Profiles > Add. 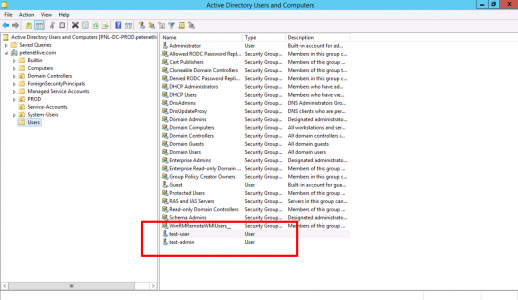 Create a profile for VPN-ADMINS > Set the correct DACL. 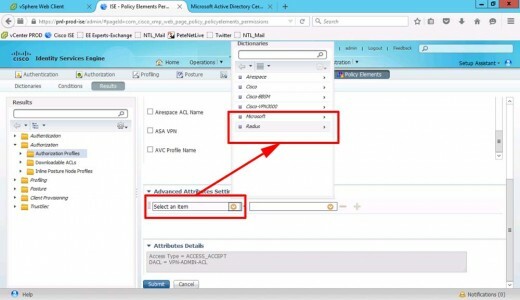 Set the advanced attributes > Change to RADIUS. 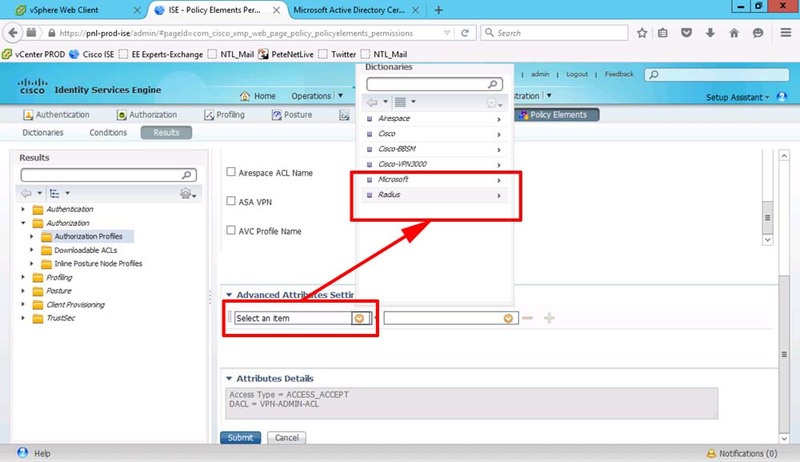 Set the OU to equal the group-policy that you want the ASA to apply > Submit. 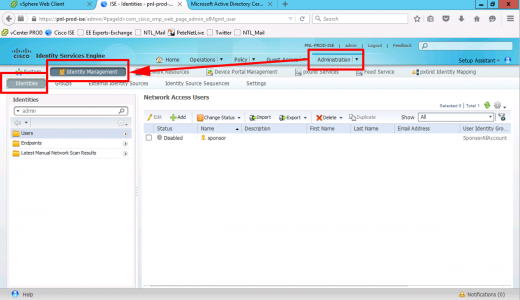 Create another profile for your VPN-USERS > Set the correct ACL. 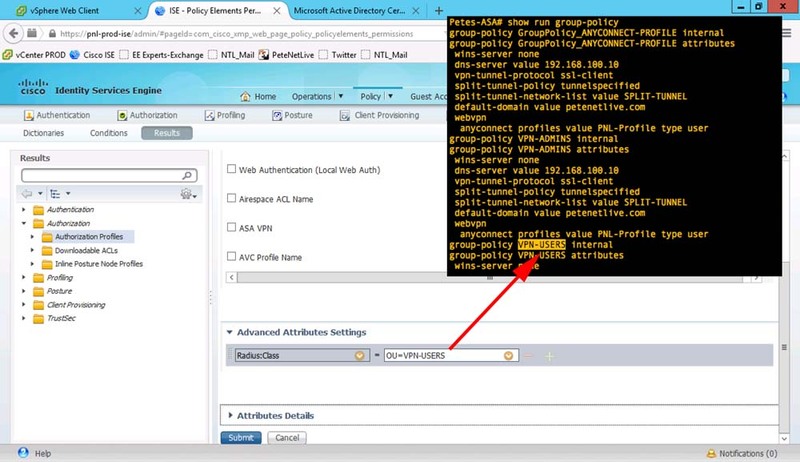 RADIUS > Class-25 > OU set to the group-policy on your ASA for the normal users > Submit. 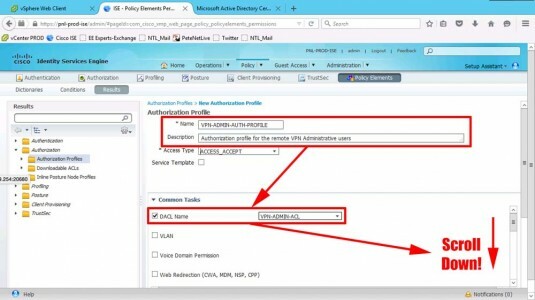 Note: only available on newer versions of ISE: Administration > System > Settings > Policy Sets > Enabled > Submit. 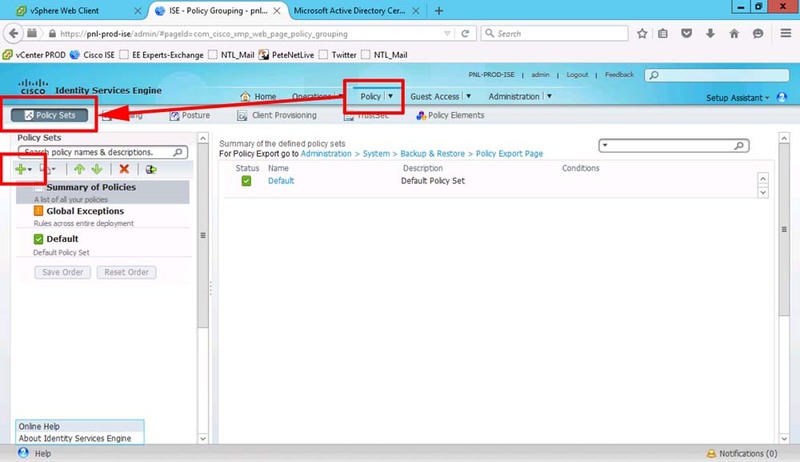 Policy > Policy Sets > Add.